When you have serious work to do, you need more than just any old pickup, you need the new 2020 Ford F-Series Super Duty. The Super Duty’s capabilities have been taken to the next level with two new engine options, even higher towing and payload ratings, and more advanced technology options. Under the hood, you will be able to choose from among three great engine options. A new 7.3-liter V8 will join the popular 6.2-liter V8 as gasoline engine options. There will also be the third-generation 6.7-liter Power Stroke® Diesel V8 to complete the lineup. Inside, the new Super Duty will be just as impressive with a host of newly available technology features. The class-exclusive, available Pro Trailer Backup Assist™ will make it easier to get your truck into towing position, while the embedded 4G LTE Wi-Fi modem allows up to 10 devices to connect at once. 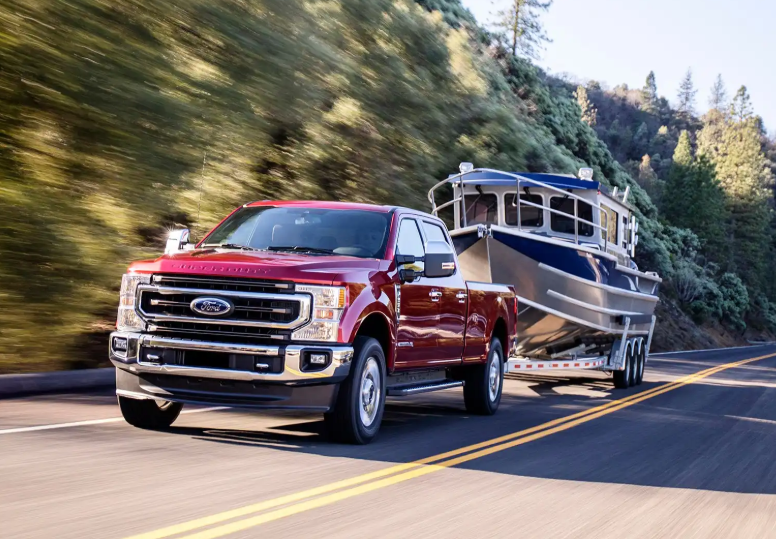 Learn more about the highly-capable 2020 Ford F-Series Super Duty pickup at Nick Nicholas Ford. The 2019 Ford Ranger offers impressive strength and versatility, but it doesn’t stop there. The 2019 Ranger sets a new standard for efficiency in the midsize pickup segment. The all-new Ranger rolls out with an EPA-estimated 21 city/26 highway/23 combined mpg. * Four-wheel drive models are rated for an EPA-estimated 20 city/24 highway/22 combined mpg. 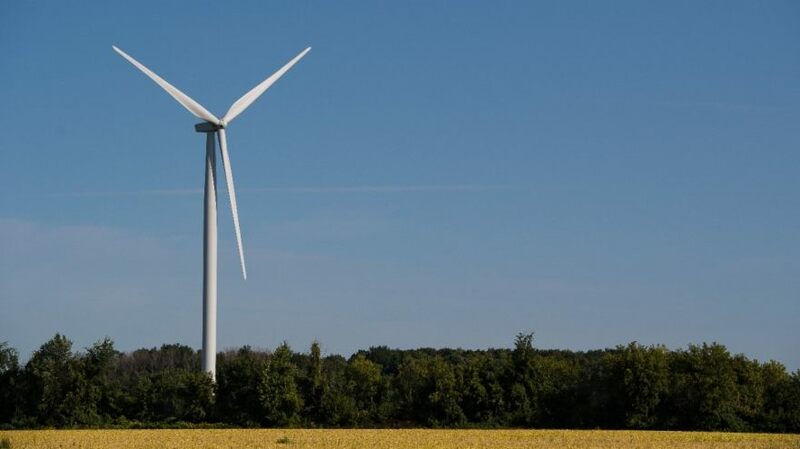 * That kind of efficiency makes it stand above gas-powered competitors. 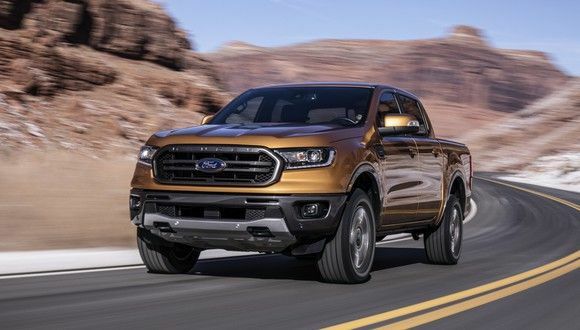 Designed to raise the bar for the midsize truck segment, the 2019 Ford Ranger also tops competitors with best-in-class torque, towing, and payload capabilities. The 2.3-liter EcoBoost® four-cylinder engine generates 270 horsepower and a best-in-class 310 lb-ft of torque. That kind of strength gives the Ford Ranger a best-in-class 7,500 pounds of maximum towing capacity too. The Ranger’s engine comes paired with a class-exclusive 10-speed automatic transmission. The new Ranger also offers an impressive array of available technologies, including the class-exclusive Blind Spot Information System. Visit us here at Nick Nicholas Ford to test-drive the new Ranger. *EPA-estimated city/hwy/comb mpg for the model indicated. See fueleconomy.gov for fuel economy of other engine/transmission combinations. Actual mileage will vary. 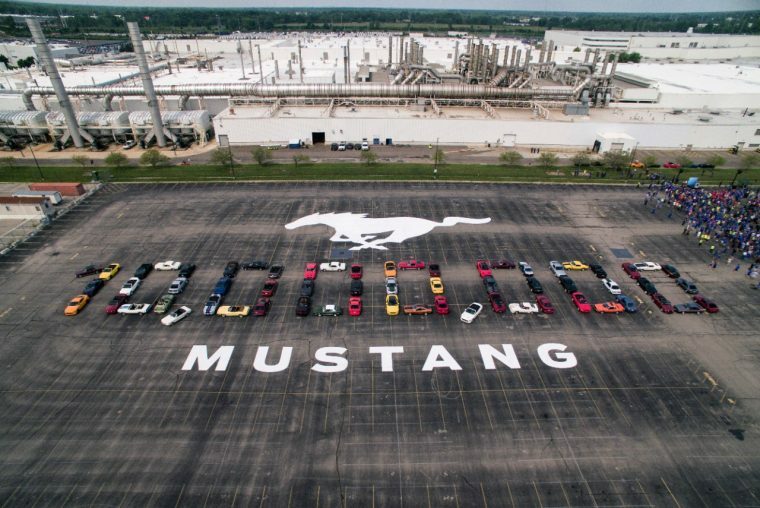 It’s a new year, and that means Ford is getting ready to launch some exciting new models in the near future. At Nick Nicholas Ford, here’s what we’re looking forward to in Ford’s 2020 lineup. The Ford Escape will be all new for the 2020 model year. This compact SUV will get slightly larger and will be built on a completely new platform to create a smoother, more modern performance. The next generation of the Ford Explorer should debut sometime in 2019. The three-row SUV is expected to be larger and more spacious than before, and it will come in both rear- and all-wheel drive. Some big changes are on the horizon for America’s favorite pickup truck. In 2019, the first-ever Ford F-150 Hybrid pickup truck will debut in the Ford 2020 lineup. That’s just one of the many updates that we’re expecting to see for the 2020 Ford F-150, which will undergo a complete redesign for the new model year. Next year, the Ford Bronco will return after being off the market since 1996. This off-road-ready SUV will be based on the Ford Ranger mid-size truck. The all-new 2019 Ford Ranger is coming soon to Nick Nicholas Ford, and here’s a look at some of the features you can expect from this exciting pickup. The Ranger aims to dominate the mid-size truck segment with class-leading payload and towing capacities. Featuring a maximum payload capacity of 1,860 pounds, the Ranger can tackle any home project. 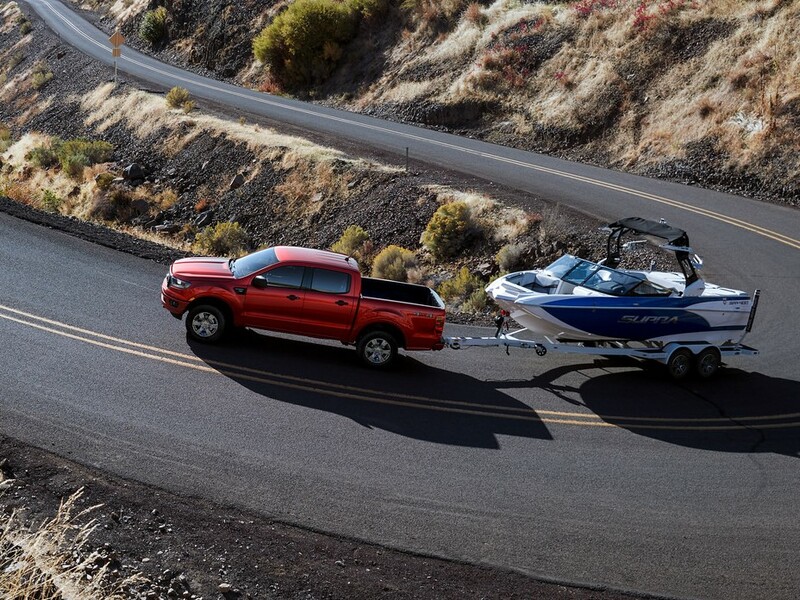 A maximum towing capacity of 7,500 pounds ensures that the Ranger can tow everything from small trailers to boats. Trailer Sway Control and Pre-Collision Assist with Automatic Emergency Braking come standard on all Ford Ranger models. Higher trims include even more active safety technology, including a Blind Spot Information System with Cross-Traffic Alert. Forward and rear sensing systems are available as well. Eight color variations ensure that the 2019 Ranger boasts an eye-catching appearance. The available 501A equipment package includes a premium sound system, rain-sensing windshield wipers, and remote start functionality. The available Technology Package includes advanced systems, like Adaptive Cruise Control and Navigation. Additional packages, like the Chrome and Sport Appearance Packages, create a unique aesthetic. An FX4 Off-Road Package adds a Terrain Management System and Trailer Control to the capable truck. An additional Trailer Tow Package adds a spray-in bedliner, tray-style floor liners, and rectangular running boards. 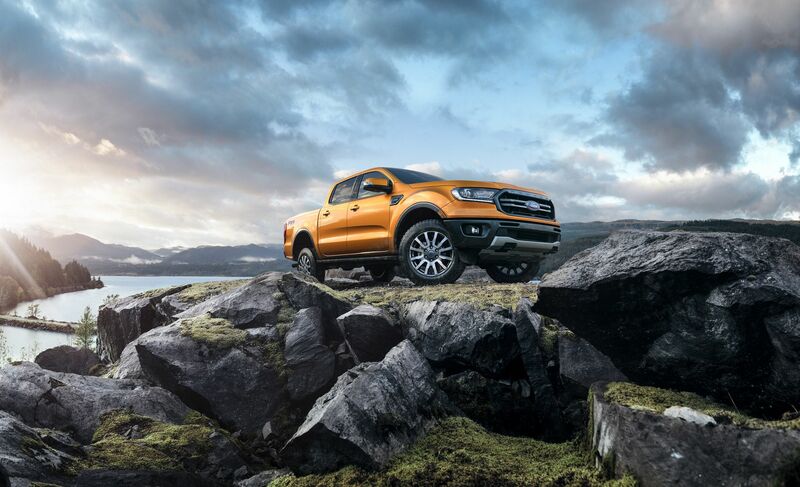 Look for the 2019 Ford Ranger to start arriving at Nick Nicholas Ford and other dealerships early next year. Fall is many people’s favorite time of year, as it ushers in cooler weather, beautiful fall foliage, and festive autumnal activities that the whole family can enjoy. This year in Inverness, take part in some local fall events for an experience that is sure to be fun and festive. 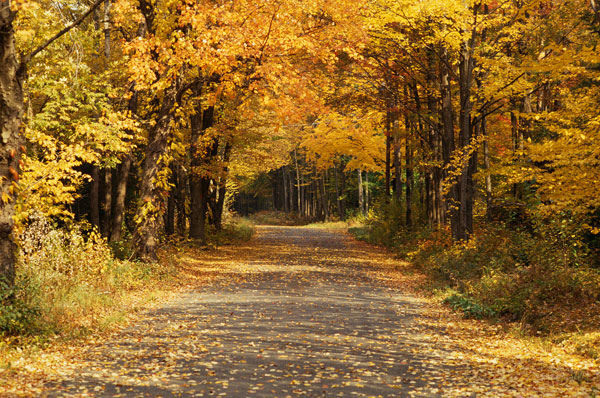 Here are a few fall events in Inverness that we recommend here at Nick Nicholas Ford. Cooter Festival is a three-day music festival that is entering its fourteenth year. The festival takes place Oct. 26-28 and will feature seven bands, two water shows, carnival activities, fireworks, and more. Citrus Got Talent is a local talent show that allows residents of Citrus County to perform their entertaining talents at the Cooter Festival. The competition is divided by age group, with preliminaries taking place Oct.27 at 9:30 a.m. on the festival’s second stage. This magnificent festival is Citrus County’s longest-running juried art show. Enjoy works in a variety of mediums, including oil painting, photography, and watercolors. The festival will take place Nov. 3-4 in the historic downtown section of Inverness. On Nov. 10, head to the Farm City Festival in Inverness for a day celebrating local agriculture and food. The 2019 Ford Focus introduces the fourth generation of this beloved vehicle platform. From front to back, the new Focus features state-of-the-art technologies, from its smart connectivity features to its advanced active safety and driver-assist equipment. Among the fun and innovative features on offer is the new Focus head-up display, which draws from fighter jet technology. The Ford Focus’s new head-up display is unlike any other. A key feature is its ability to prevent or reduce glare. 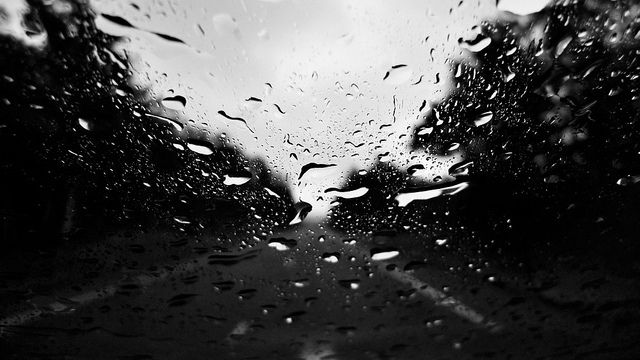 If you wear polarized sunglasses, many other head-up displays are rendered unreadable. 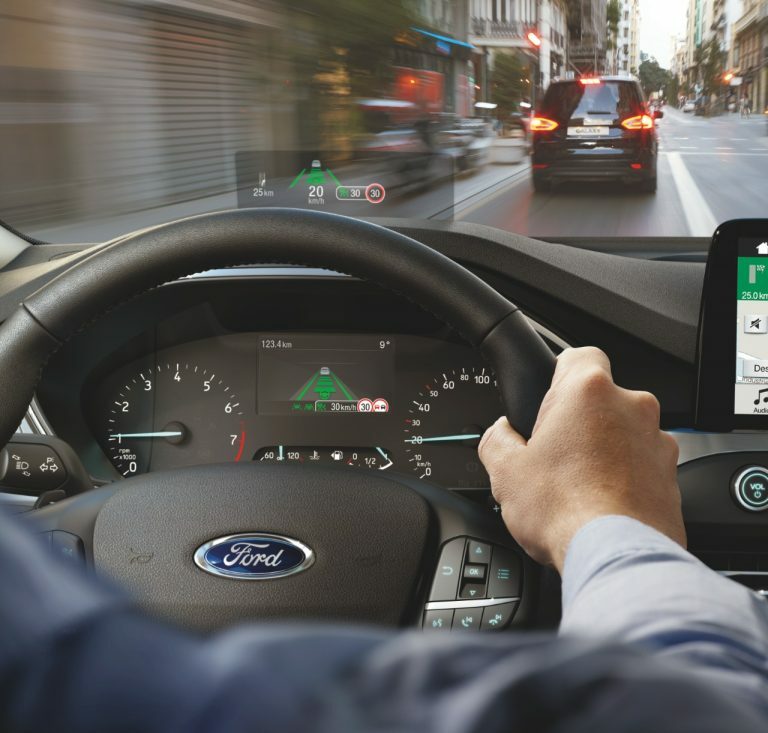 Ford’s smart display system projects information onto the windshield and “bounces back” polarized light to make sure that the display is easily readable at all times, no matter your eyewear. The 2019 Ford Focus will be available next year, and you’ll be able to test-drive it here at Nick Nicholas Ford. 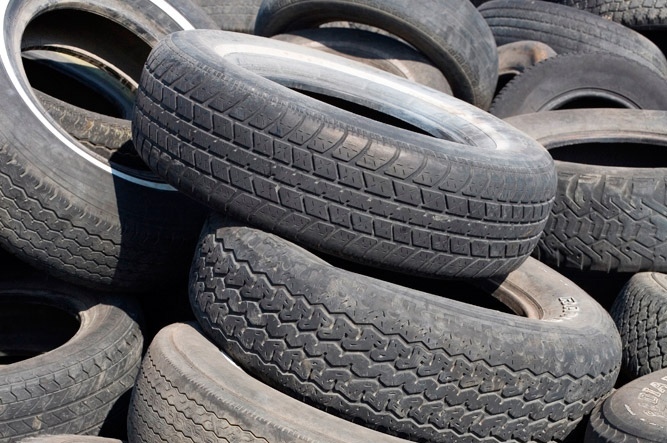 If you and your family plan to hit the highway this summer, you’ll want to make sure your car’s tires are in tip-top shape before you head out on your road trip. There is a very simple test you can do to make sure your tires are not overly worn, and all you need is a penny! Grab a penny. If you don’t have one on hand, just lift the nearest couch cushion and pick one of the many coins hiding underneath with the stray potato chips and buttons. Take the penny out to your car to check your tires. Insert the penny in head-first. If Lincoln’s head is fully immersed in the tire tread, your tires are good to go. If you can see any part of the top of Lincoln’s head, your tires are too worn for the road and it is time to invest in a new set. If you check your tires with the penny test but still are not sure if they are safe for the road, call Nick Nicholas Ford today to make an appointment at our service center. Our friendly service technicians will be happy to answer your questions and help you to get your Ford vehicle into peak road-trip shape.